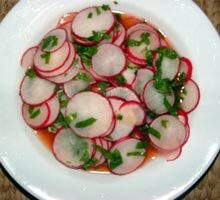 Add salt to radish. Keep for 5 minutes. Add ginger, green chilli and tomato, coriander leaves and lime juice.